Recently an Avon brochure got shoved under my nose, and the beauty obsessive in me could not help but browse the pages. I while ago I got into eyeliner pens after trying the Essence Superfine eyeliner pen - link here but it had recently ran out, so naturally I replaced it. The Mega Affects eyeliner has a duo application nib, so you can create a thin precise flick, or thick bold Adele style line. 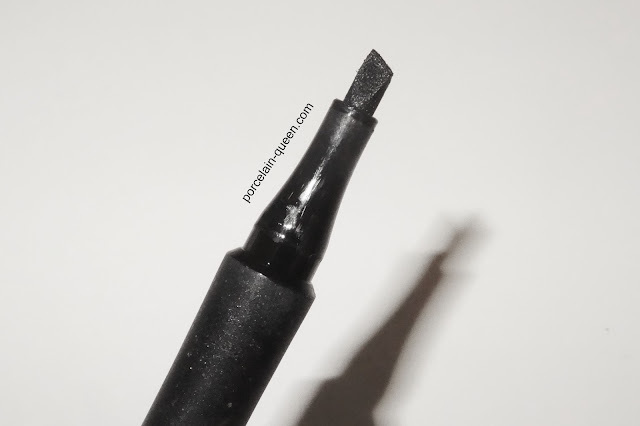 I typically use the thinner nib for creating my wing and lining my eye, I then flick it over to the thicker end and fill everything in and make it super black. I find the nib extremely easy to use, its a stiffened felt feeling material, so it glides easily across my eyes without dragging. The colour pay off is not as good as a gel or a standard liquid, it can appear slightly watery, so sometimes I do have to apply two layers. The price I thought was quiet steep for a catalogue, however it turned out to be included in an offer so I only paid £3.25, the usual price is £6.50. This pen would be ideal for someone who struggles creating a wing as the straight nib makes it fool proof. You can watch my easy eyeliner tutorial here. 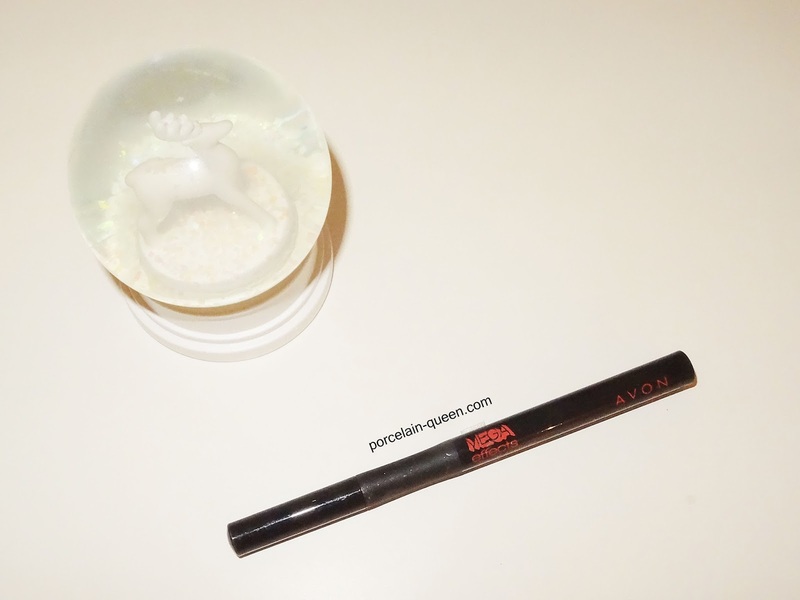 Have you tried any makeup from Avon?